Lassa fever is a type of viral hemorrhagic fever and is endemic in several West African countries. However, only few hospitals and laboratories in the region have the capacity to conduct molecular or serological Lassa fever diagnostics. The classical method for detection of Lassa virus-specific antibodies is the immunofluorescence assay (IFA) using virus-infected cells as antigen. However, IFA requires laboratories of biosafety level 4 for assay production and an experienced investigator to interpret the fluorescence signals. 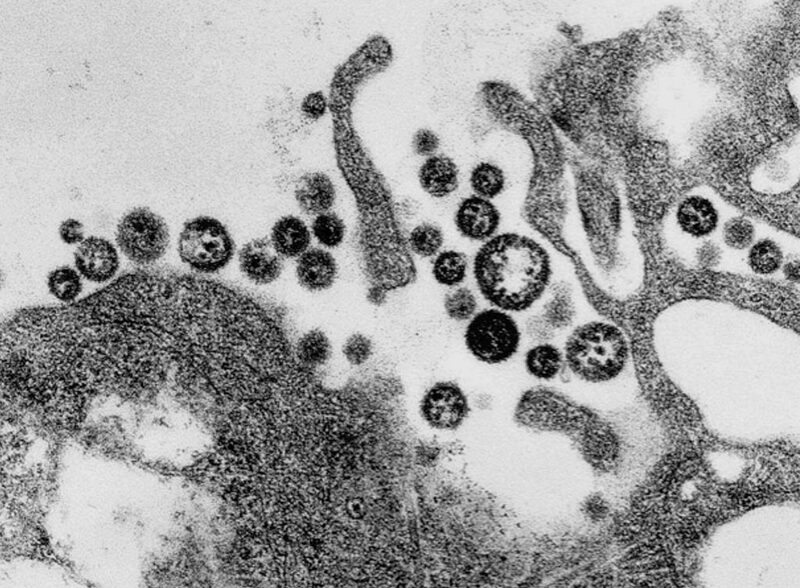 Image: A transmission electron micrograph (TEM) of a number of Lassa virus virions adjacent to some cell debris (Photo courtesy of C. S. Goldsmith/CDC). Scientists at the Bernhard Nocht Institute for Tropical Medicine (Hamburg, Germany) and their West African colleagues chose a total of 576 sera from the diagnostic service of the Institute of Lassa Fever Research and Control. Of those, 270 sera tested positive by Lassa virus real-time polymerase chain reaction (RT-PCR) establishing the diagnosis of Lassa fever; 101 sera tested negative by Lassa virus RT-PCR; and 23 had no RT-PCR result. From 47 RT-PCR confirmed Lassa fever patients, 182 (1–9 per patient) follow-up sera were available. From Lassa fever non-endemic areas, 199 samples collected between 2008 and 2011 from patients with suspected viral hemorrhagic fever or viral hepatitis in Ghana, all of whom tested negative by Lassa virus RT-PCR. Another 105 diagnostic leftover samples from German patients with various unknown diseases were included in the study. The developed immunoglobulin M enzyme-linked immunosorbent assay (IgM ELISA) was based on capturing IgM antibodies using anti-IgM, and the IgG ELISA is based on capturing IgG antibody–antigen complexes using rheumatoid factor or Fc gamma receptor CD32a. Analytical and clinical evaluation was performed with 880 sera from Lassa fever endemic (Nigeria) and non-endemic (Ghana and Germany) areas. The team used the IFA as the reference method, and observed 91.5% to 94.3% analytical accuracy of the ELISAs in detecting Lassa virus-specific antibodies. Evaluation of the ELISAs for diagnosis of Lassa fever on admission to hospital in an endemic area revealed a clinical sensitivity for the stand-alone IgM ELISA of 31% and for combined IgM/IgG detection of 26% compared to RT-PCR. In non-Lassa fever patients from non-endemic areas, the specificity of IgM and IgG ELISA was estimated at 96% and 100%, respectively. The authors concluded that the ELISAs are not equivalent to RT-PCR for early diagnosis of Lassa fever; however, they are of value in diagnosing patients at later stage. The IgG ELISA may be useful for epidemiological studies and clinical trials due its high specificity, and the higher throughput rate and easier operation compared to IFA. 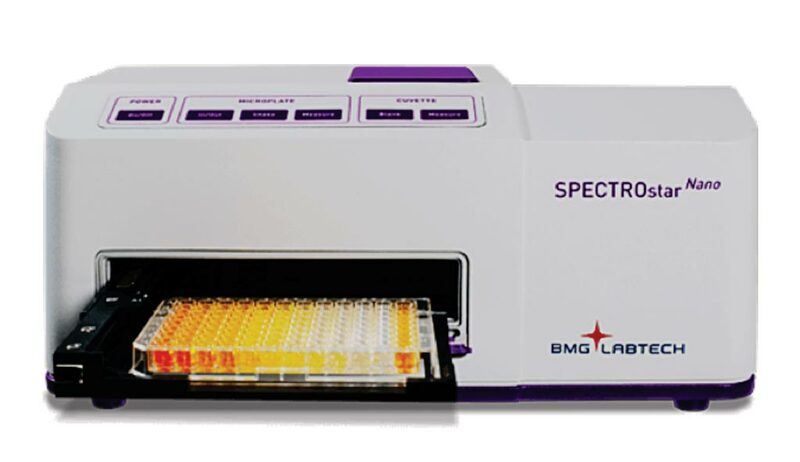 The established assays do not require expensive equipment; ELISA readers are available in many diagnostic laboratories in West Africa. The study was published on March 29, 2018, in the journal PloS Neglected Tropical Diseases.